You can easily increase customer satisfaction by responding to online conversations about your brand or products. Social media is becoming even more important element in marketing communication and interaction between brands and consumers nowadays. However, they are substantially different from the other, traditional media and require a distinct approach to the customer. Social media users are evolving and getting more demanding in the age of massive information. Their ability to speak their mind at any time and any place in the Web creates a great opportunity for enterprises to interact with them and gain their engagement – crucial element in improving their brand image. Interaction is even more efficient when the reaction is immediate. Nevertheless, rummaging through the Internet in search for useful opinions about our brand might be quite time-consuming and ineffective. Internet and social media monitoring tools make this task much easier. Each strategy mentioned above can be applied through the Internet and nowadays this channel of marketing communication is the most preferred, most of all because it is the fastest one. What is the role of Brand24 in employing those strategies? 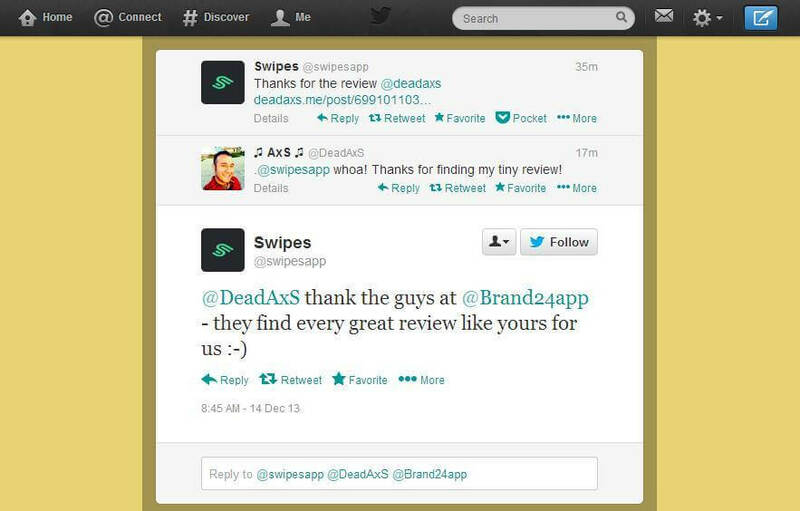 Brand24 collects mentions from dozens of domains in a real time, so the reaction might be at the moment’s notice. It helps brands to be proactive in their consumer communications and interactions in numerous areas and also gives a detailed profile of social media users to develop a suitable approach to individual consumers.